Shipping is free all over Australia for all orders over $100. A flat rate of $10 postage is charged for orders under $100. Delivery times usually take between 3 to 6 working days for Australian deliveries and sometimes longer for remote areas. These delivery times relate only to business days, Monday to Friday, and exclude weekends and Australian public holidays. Do not hesitate to contact our Customer Service team for any shipment enquiries. Please choose products carefully. We do not offer refunds if you simply change your mind or make a wrong selection. Exchange of an item must be within 10 days of purchase with copy of receipt with clear evidence of an unused and unopened bottle or container. Please include a self-addressed post pack when exchanging an item so it can be returned promptly. We do not refund or exchange on SALE items or promotional packs. You can choose between a refund, exchange or credit if goods delivered are faulty, within 10 days of purchase. 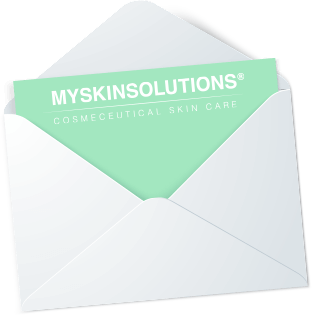 In the case of a medically diagnosed reaction, proof of reaction must be notified by a letter from your doctor to returns@myskinsolution.com.au or by coming in to My Skin Solution™ office for an analysis. In these instances a case by case refund or exchange may be allowed. My Skin Solution™ products are subject to availability on a daily basis. In some rare instances we may be out of stock of a product you wish to buy. If this instance occurs we will notify you via email and we are happy to try and reorder the item as quickly as possible. We will inform you of any waiting period or alternatively you can select another product.